Today, over 73,000 students attend Fresno Unified public schools. There are many excellent teachers and schools in Fresno, but far too many students lack the education that will prepare them to thrive in their lives. We believe Fresno has the strength, commitment and passion to do better. 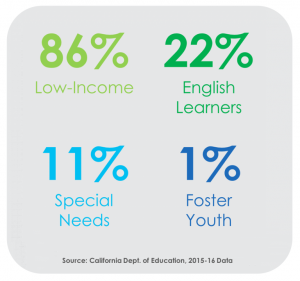 Fresno Unified has grown in numerous ways in recent years, but persistent gaps remain that disproportionately affect historically underserved groups. Over 75% of our students are Latino or African-American and 86% of our students are low-income. While graduation rates are steadily increasing, over 80% of Fresno students who graduate are not college-ready or conditionally ready in math. The need for action is pressing. 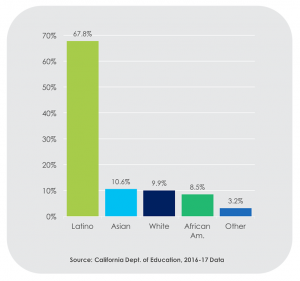 Fresno Unified students are given twice as many suspensions as the state average; for every 100 enrolled Black students in Fresno, there are almost 40 suspensions. Launched in June 2017, GO Fresno’s network of families, educators and community members are motivated by a deep commitment to the simple idea that every kid deserves a good chance, in school and in life. 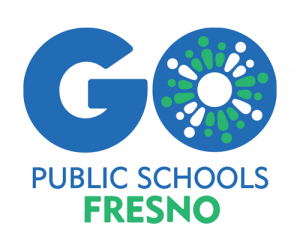 By providing information, building leadership skills, and advocating publicly, GO’s network is working toward a Fresno where every student has access to an excellent public school. Develop a report modeled after “Choosing Our Future,” which was published in 2005, to carefully examine what progress has and has not been made, refresh our community’s vision and goals for high-quality schools, and implement transformative recommendations that demonstrate our renewed commitment to achieving dramatically accelerated progress for every student in Fresno Unified. Read more about Choosing Our Future 2.0 here. The Fellowship will engage families and young people to lead the crafting of the vision for Fresno Unified that will be included as part of the Choosing Our Future 2.0 report. Family Fellowship leaders will also develop and deepen skills to advocate for policy recommendations in alignment with that vision. Our Board Watch program will preview and explain school board meeting agendas and highlight the board’s discussions and decisions. Content will be shared through our website and email communications. Learn more about GO Fresno and its Leadership Council. Our Students. Our Schools. Our Stories. Learn more about Fresno’s parent and education leaders like Jesse, who have come together to advocate for solutions for our students.